Success in business management is not just measured by counting the achievements made, but also by measuring the time and effort offered by the management and its workforce. Though, the percentage of business progress and growth are inconsistent, the significant thing here is that the business development is sustained or ongoing. Yet, there are those inevitable times when the business cannot attain success due to some circumstances. These business dilemmas are pertained to different situations, and one of which is the grievance of employees. One best way to know what are the reasons behind these is by utilizing an employee grievance form. What Is an Employee Grievance Form? 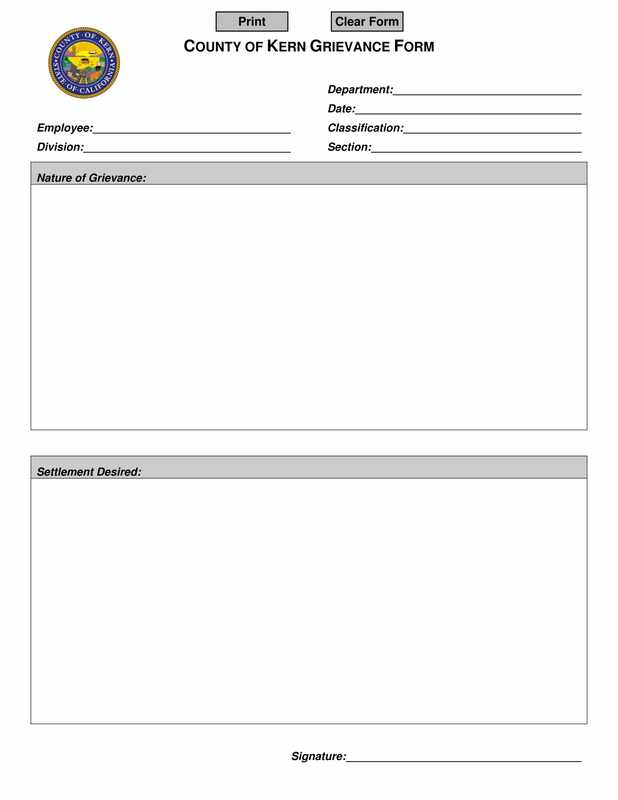 Technically, these forms are used by the employees to specify in details the reasons behind their grievance. The reasons could either be due to work harassment complaints or violations of employee rights. Whatever the reason is, utilizing these employee complaint or grievance forms is the best way in order for the management to be aware of what their employees are experiencing. The personal information of the employee or the grievant is significant. This is in order for the management to easily identify who among their employees felt violated. Therefore, the information included in this part are the employee’s personal and employment information, such as the employee ID, full name, job title or position, home and work mailing address/es, and the date of hire. The information with regards to the event is referred to the date, time, and place of what had led to the employees’ grievance. In this part of the form, the details of what has occurred should be specified to better probe the situation. This is in order for the business management to determine what are the contributing factors. In addition to this, the names of people involved and the rights of the individual that were violated should be specified in the form. The information indicated in this part of the form include the proposed and the implemented solutions in response to the grievance of individual employee. By means of this, the management will be able to distinguish which among the solutions are more effective. This part is mandatory due to the fact that these are to certify that all information indicated or provided and that the employee statements are true, correct, and accurate. This part requires the affixed signature of the employee and the receiver of the form. 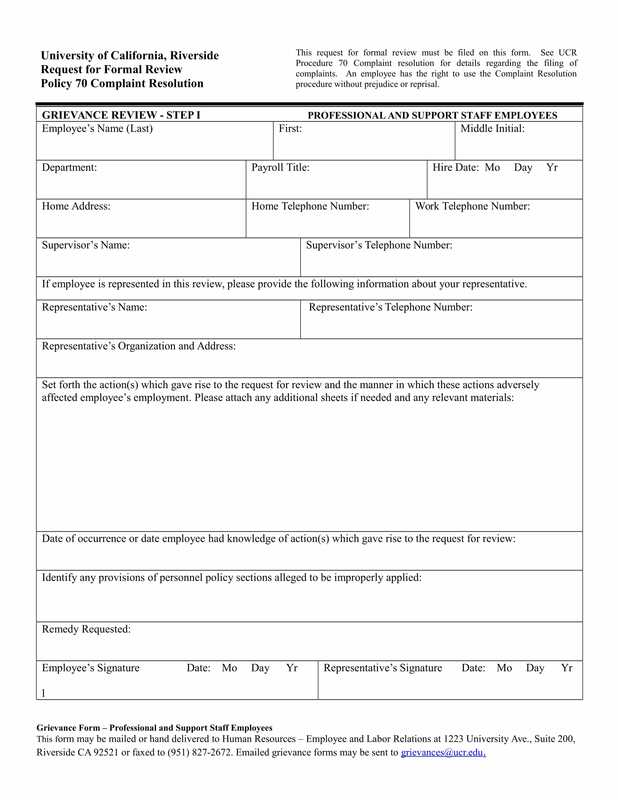 In addition to this, the date of when both the employee or person who submitted the form and the person as the receiver had signed this document should also be included. 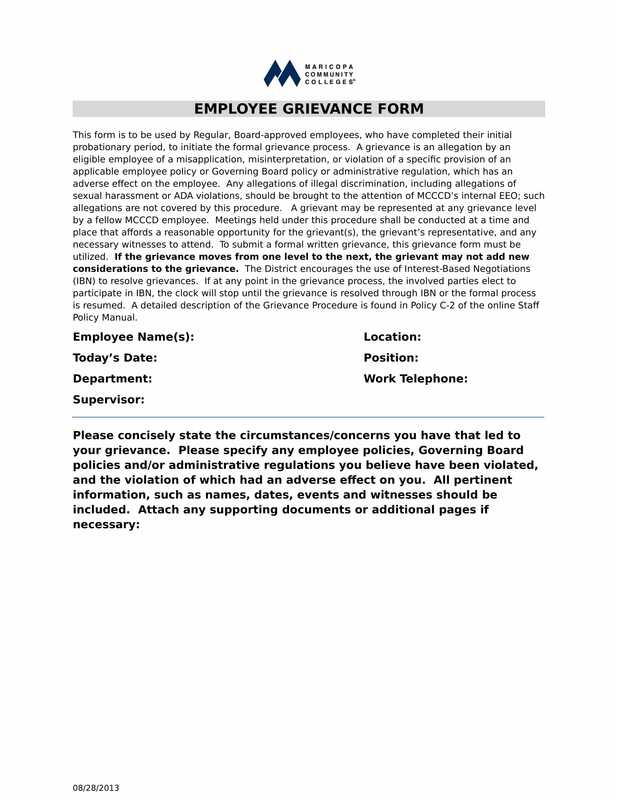 Nevertheless, these grievance complaint forms not only improve the understanding between the management and its workforce but also create a bond or connection that helps the management reach out to their employees. 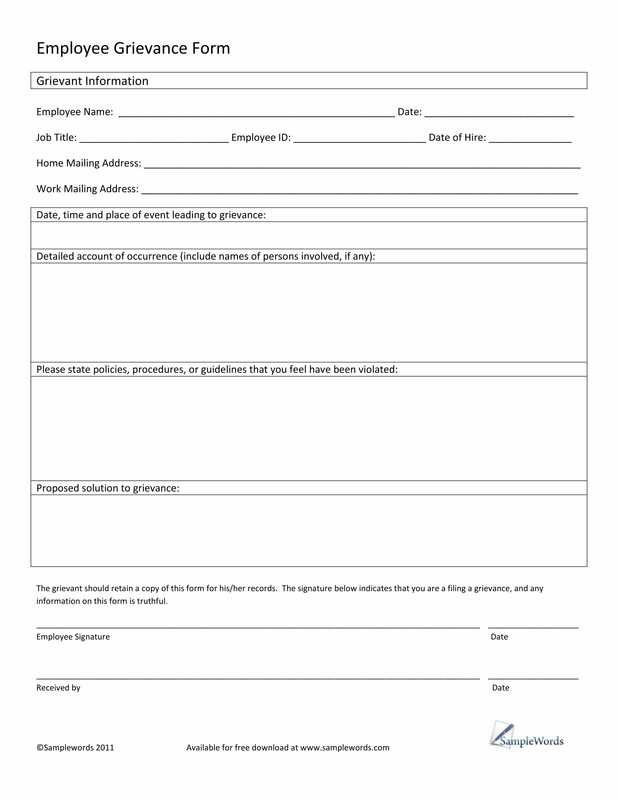 Samples for employee grievance forms are provided for you. 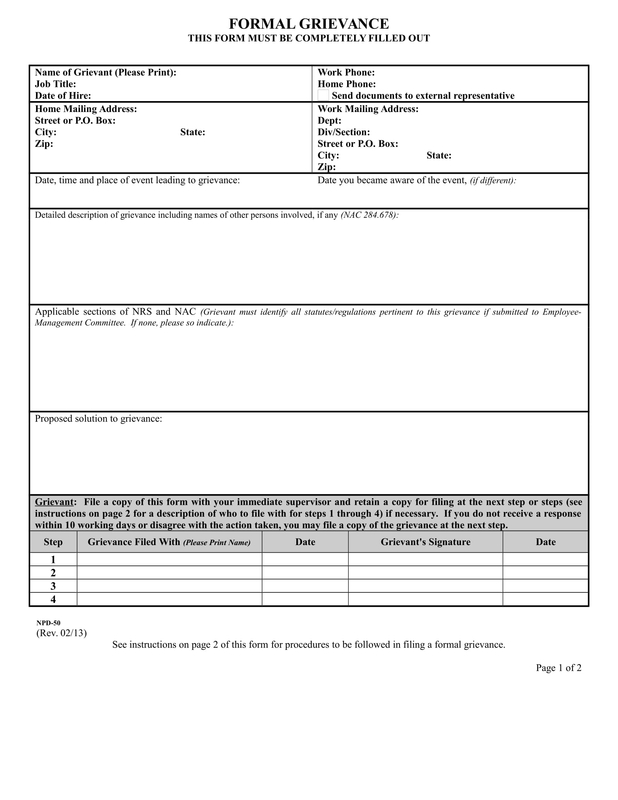 Take time to browse over each of these downloadable forms.